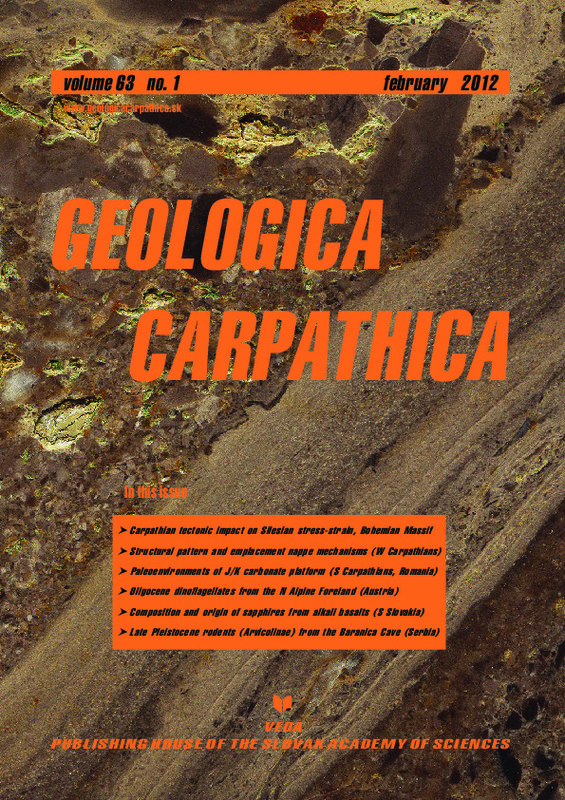 Abstract: The results of a biostratigraphic and sedimentological study of the Upper Jurassic–Lower Cretaceous limestones cropping out in the southern sector of the Vâlcan Mountains in Romania are presented, including the definition of microfacies types, fossil assemblages and environmental interpretation. Six microfacies types (MFT 1–MFT 6) have been identified, each of them pointing to a specific depositional environment. The deposits are characteristic of a shallow carbonate platform. They contain normal marine or restricted marine facies deposited in low or high energy environments from the inner, middle and outer platform. The age attribution of these deposits (Late Jurassic to Berriasian–Valanginian–?Hauterivian, and Barremian) is based on foraminiferal and calcareous algae associations. The micropaleontological assemblage is exceptionally rich in the Vâlcan Mountains and brings new arguments for dating the Upper Jurassic–Lower Cretaceous limestones in this area.